The average footy fan is probably thinking, ‘who gives a stuff? It’s a dying fad’ and all the other cliches that you’ll hear around this time of year. Perhaps the same people are saying the same thing about AFLX. What do these naysayers have in common? They’re missing what the AFL is really trying to do as both brands are being developed. This is a special era we live in. Here’s why. 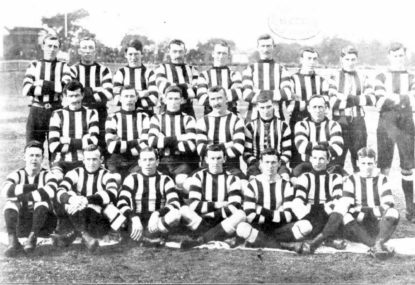 This weekend Collingwood makes a return to their spiritual home on Lulie Street – the ever famous Victoria Park. 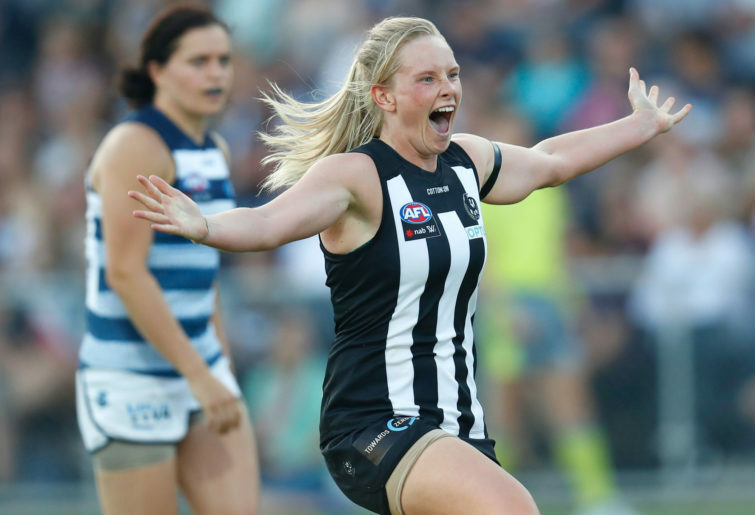 The Pies girls knew in an instant what it meant to play there when it was announced they would play for premiership points for the first time at the ground since the 1990s. Their VFLW side played there in the winter season of 2018. Just looking at social media at the time you could tell these ladies couldn’t contain their excitement. On this occasion the excitement for the players, whether Demons or Magpies, goes up to a new level. 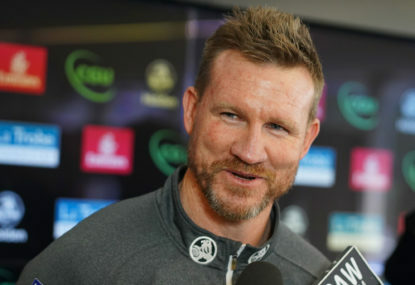 This fixture, much like the matches played at Ikon Park, gives a nod to the past – including the legends who graced the field – while also ushering in the new era of players as their game grows, just like the men’s game did back then. It’s an incredible and nostalgic thing to be back at a suburban ground at this time of year. It’s the perfect time to get ourselves ready for what’s to come while also imagining how incredible football would have been in days some of us weren’t around to experience. The days where your club had that string of success in the 70s and 80s. The days where you had to wait for the centre square to be roped off before the second siren went, and once those buttons were pushed, whoever got to the rope first won… whatever was to be won. This is what our parents told us. The stuff they did when they were kids. The AFL realised this, and are bringing such joys back, for this generation and previous generations alike. 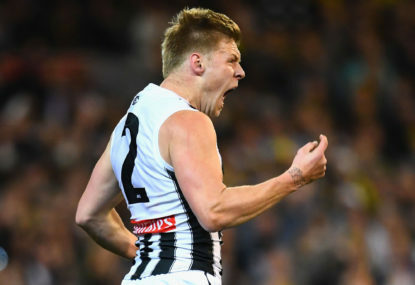 These Collingwood and Melbourne women no doubt would get these feelings running up the race to head out to the green grass and crash through the banner. As it’s early in the season, some will get to do so for the first time this weekend. Though this song was recorded in 1972 – some 46 years to now, it’s still relevant – the feeling of packing trains and cars in droves to see your heroes, well, there’s nothing like it. The AFLW season allows us to have that sigh of relief that footy is back but also gives us the ability to enjoy it well before the men’s season comes around. Footy’s a wonderful thing, and the women who play in this new league make the true supporters and stakeholders realise this. It’s not meant to be a gimmick or a political statement. It’s footy and we love it, no matter who is playing. 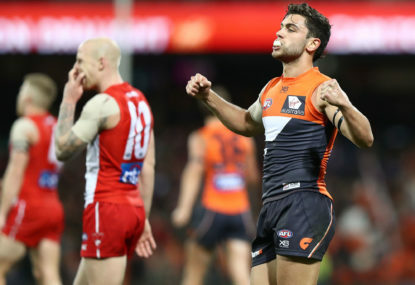 Once again, while acknowledging the past, Australian football has an incredible future. It’s all thanks to AFLW. No, AFLW is not a dying fad – rather, it’s reopening doors everyone thought were shut. It’s an incredible era to be a part of. The Collingwood and Melbourne girls are about to make or perhaps re-write history books again. 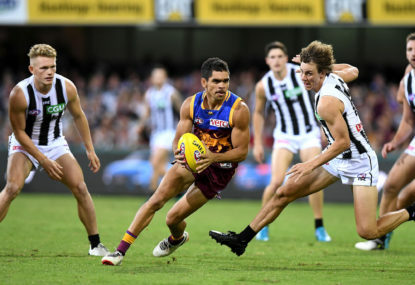 It promises to be a great match – the stakes have officially been raised for the Pies after losing yet another season opener. The girls know what’s ahead of them, though the Dees look to break Collingwood hearts on this occasion. But more importantly you know they’re excited to perform on the stage legends once graced. 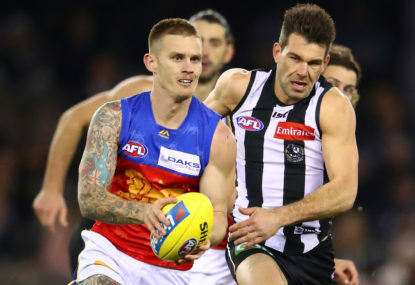 It’s been two nights since the Pies notched their first win of the 2019 campaign against a fellow premiership fancy, but the implications of how they ran away 44-point winners could have a telling impact in the coming weeks.